Having barely unpacked their dirty laundry following their riotous, nearly month-long Staggering Backwards European Tour, EYEHATEGOD is already gearing up for another excursion, as they prepare to blaze through the western edges of the US next week surrounding their headlining performance at Psycho California. Set to storm the three-day event, the New Orleans bandits will attack the stage on the opening night of Psycho, this Friday, May 15th in Santa Ana alongside the likes of Atriarch, labelmates AUTHOR & PUNISHER, OLD MAN GLOOM, COUGH and more. Subsequent to the festival the crew will plow through Phoenix, Seattle and Fort Worth before crushing their New Orleans home turf for the close-out show on May 23rd. Another EYEHATEGOD European excursion surrounding their set at Hellfest is on the horizon as well. For further info visit the band's Facebook page HERE. 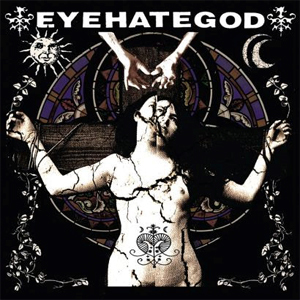 EYEHATEGOD continues to pummel the masses in support of their Housecore Records-released self-titled LP which inundated the masses in 2014, breaking the band's decade-and-a-half gap since their prior full-length and marking the most successful release in the band's twenty-five-year lineage. An exclamation mark on an already storied career, a statement of rebirth, catharsis, self-preservation and a sign of things to come, the album landed at #82 on the Billboard Current Album chart, #92 on the Top 200 chart, #26 on the Rock chart, #4 on the Hard Rock chart and #12 on the Indie chart upon its first week of release, solidifying the band as one of the most important extreme music acts going. Orders for EyeHateGod can be placed via Housecore Records HERE.